Depending on where you live, the idea of planting anything new in July or August is unheard of, a waste of materials and resources. Some may even call it a taboo! There are various reasons given but when you really think about it and ask yourself, “Why not?” you may realize that not many people have a very good reason. Sure, in some climates late summer is so hot that sprouts would just wither and die off but you can overcome that in the same way you protected those little sprouts from the cold: start them inside! There are plenty of tasty veggies that actually prefer cool (even cold) temperatures and tend to thrive the cooler it gets. Living in Southeast Alaska, we rarely get above 80 degrees, and 90 degrees is some record breaking temps. You could say that I grow in cooler temperatures all summer long and have learned what really likes those nice, cool nights. Listed below are some of my favorites. Various types of lettuce, mustard greens, and kale grow very well in cooler temperatures and tend to prefer it. They may need to be started inside first so they can harden up and be less susceptible to burning up in the hot sun. Once true leaves are evident, you should be able to transplant them without issue. Kale is an extremely hardy plant that can tolerate temperatures down to around 30 degrees F and it is actually preferred to harvest kale after it has been touched by frost. Reports say that kale harvested in hot temperatures is very bitter. Lettuce in general cannot handle even a light frost but the upside is that it grows very fast and thrives in temperatures between 40-60 degrees. Since time is a factor, I recommend growing some green onions whether that is specifically green bunching onions, or simply planting some sets out and harvesting early. Onions are extremely hardy and can handle light freezes, especially if you put a little blanket of mulch over the top. If you happen to end up with too many onions, they are very easy to dehydrate. 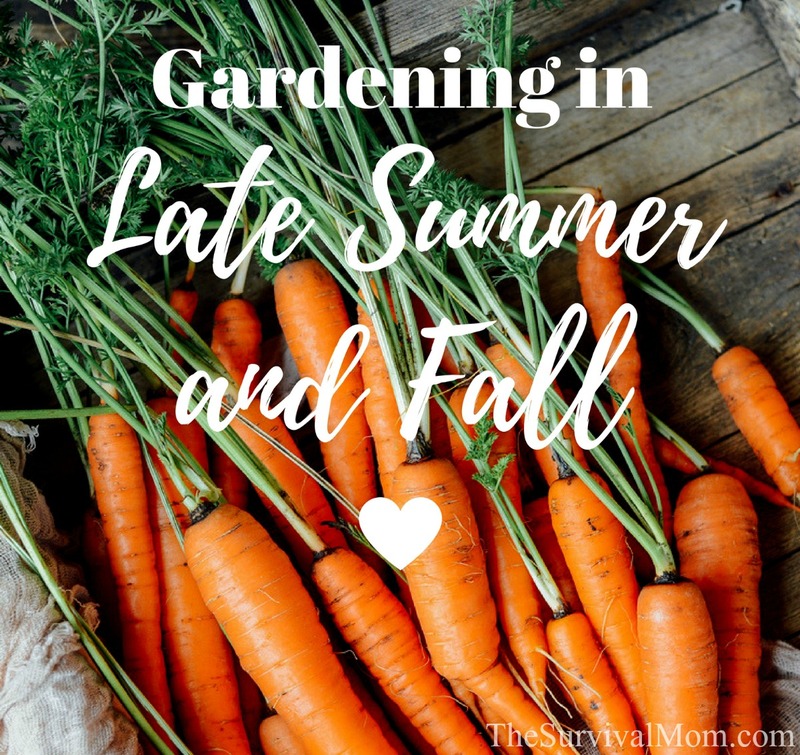 Depending how late in the season you plant them, carrots offer two different benefits: more greens and baby carrots. 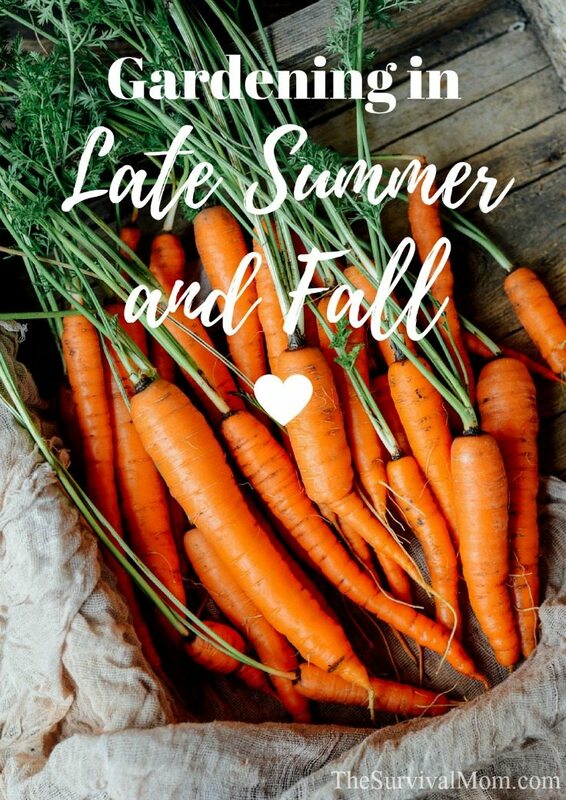 Carrots can be left in the ground and harvested later in fall so long as there isn’t a ‘hard freeze’ of about 25 degrees F or lower. At that point, anything left over can be mulched and left to grow the following year which will produce seeds for you! Beets are cold loving plants. They can handle more than a light frost but don’t do well if temperatures exceed 75 degrees. This year I actually lost my beet sprouts twice because they got too hot in the cold frame and died off. I started some in a more shaded area and hope they will do better. The upside is that they grow pretty fast once they get going! During the winter, then, I have a nice harvest of beets that I can pickle. Pickling is easy and this kit, in particular, is a good one for both pickling beets and making various vermented recipes with them. Last year I tried to squeeze out as much harvest as I possibly could and ended up planting peas pretty darn late. I decided since I had already planted, I would just see how things went. I was shocked that they survived some light frosts and even one ‘harder’ frost. While they weren’t growing as fast as when it was warmer, they still produced and we enjoyed fresh peas off the vine in the middle of October — and this is in Alaska! If I can grow peas into the fall, so can you! I was rather surprised how many herbs and spices can actually handle some colder temperatures! Dill, parsley, and chives are just a few that do well in cooler temperatures and still thrive. Cilantro and sage are even more hardy than the others mentioned and serve well for short season growers. All herbs are incredibly easy to dehydrate, so you save money on purchasing dried herbs and have the more intense flavors of home-grown herbs all year long. This set of culinary and medicinal herbs are GMO free and heirloom varieties, which is exactly what you want, especially if you are thinking of savings seeds, as explained in this article. For my personal set up, we have 3 cold frames (raised beds that are covered) and an enclosed greenhouse also with raised beds. This allows us to extend our gardening season by about 2-4 weeks on either side of the traditional growing season. Because they are all raised beds, the soil temperature tends to stay warmer, longer. The plastic sheeting over the tops allow heat to be trapped inside and help keep the frosts at bay a little longer. TIP: Many different types of cold frames and covers are on the market for late gardeners. Some are up to 3 meters long, while others are good for smaller gardens. There are actually many ‘cold crops’ that prefer spring and fall temperatures. A little research may surprise you and help you see that you can do so much more with your garden than you ever thought, even when it’s chilly outside! TIP: There are a variety of fall and winter seeds available to plant. Check out this great variety of vegetables! How is it that raised beds are warmer? You can find the original article about that here. I hope this helps answer your question! We have had wonderful success using them. They extend your growing season by about a month or so because they stay warmer, longer. Thanks so much for the post. I live in the south and am planning to plant my lettuces and cabbages in a few weeks here. I planted some carrots in late spring and noticed they didn’t do much at all… Over the past week or two as it started to cool down just a bit, they suddenly started to grow a lot more. Fingers crossed they’ll be ok this fall. What kind of peas did you plant? I wish gardening season wasn’t almost over, there’s a lot left for me to do. You mentioned chives…I was given a sprout several years ago. I plunked it in the ground and forgot about it! Now several years later, its still there and doing great – might even have spread a bit. I have never tended or watered it. It might get some water from where the hoses leak, but no intentional care! Wind, hail, drought, snow, scorching summer sun …. its still there! Perennial I guess. You can’t do what you don’t try. Congrats on the late peas!